Cancer stem cells (CSCs) are the cancer cells that are responsible for initiation, progression, metastasis, therapy resistance and recurrence in various cancers, including colorectal cancer. 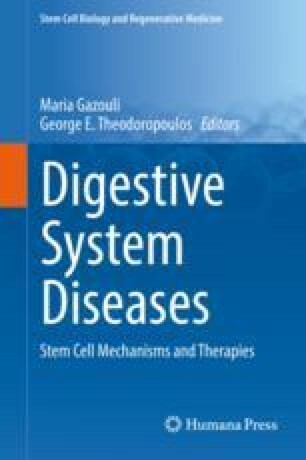 The aim of this chapter is to discuss the mechanisms responsible for these effects in colorectal cancer. Intrinsic factors, including increased activation of drug-efflux pumps, enhancing the capacity of DNA damage repair, dysregulation of growth and developmental signalling pathways, alterations of cellular metabolisms, environmental niche and impaired apoptotic response, attributed colorectal CSCs in their resistance to the adjuvant chemoradiotherapy to cancer. From the findings from translational research, CSCs profiles in patients with colorectal cancer could act as prognostic markers, which in turn reinforced the importance of CSCs in the carcinogenesis of colorectal cancer. Therefore, development of strategies targeting CSCs via inhibiting self-renewal signalling pathways or their components, blocking drug transporters and specific surface markers, inducing differentiation, boosting CSCs specific immune response and destroying their microenvironment in cancer has multifocal effects. These may exhibit better interference with the cancer and lead to improvement in treatment of patients with colorectal cancer. In summary, understanding and research of all these mechanisms of cancer stem cells could play in the improvement of the management of patients with CRC. World Health Organization (WHO). The problem. www.who.int/news-room/fact-sheets/details/cancer. Access at 18 July 17 2018.